Further terms may be revealed today as Microsoft snaps up key developer site. Microsoft looks set to move further into the developer world by acquiring code sharing site GitHub. According to multiple media reports, a possible $2 billion deal is set to be completed later today. GitHub is a code hosting powerhouse online, hosting 27 million software developers, as well as 80 million repositories of code. It is being used by the world's biggest companies. Apple, Amazon and Google are just some of the companies hosting their projects on GitHub. Microsoft is also a large contributor to the site, with The Verge saying more than of its employees are 'actively pushing code to repositories on GitHub'. 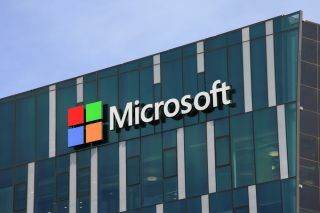 It was also said that the San Francisco-based company chose Microsoft partly because of Satya Nadella, Microsoft's CEO. Both companies are still quiet on the matter, probably until the deal is made public. Last August, GitHub announced it was looking for a new CEO. Microsoft has been in talks with the company on multiple occasions, always looking for some form of partnership. In 2016, GitHub lost $66 million in three quarters, but reported a revenue of $98 million for the same period.